Over the last week, Verizon’s Cellebrite systems were filled with a handful of devices that we are expecting to see in the coming months. 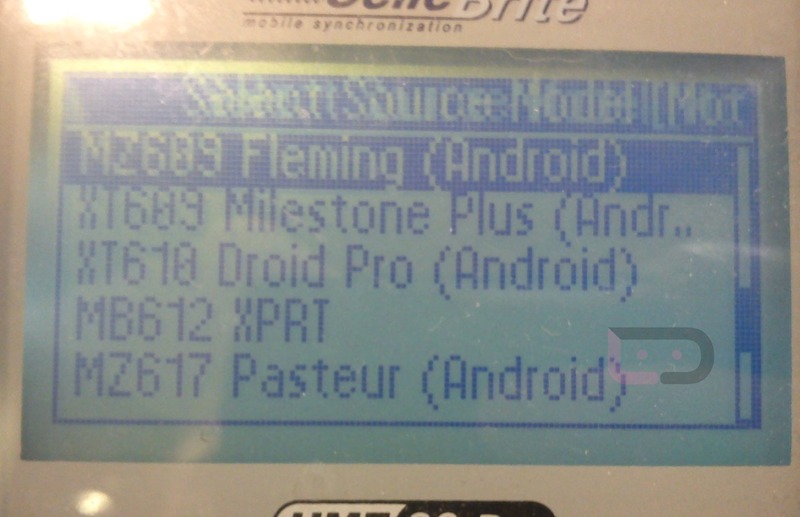 The Nexus Prime, DROID HD, and HTC Vigor all popped up the other day, but now we are seeing two new XOOM models as well. The first is MZ617 “Pasteur”, which is the XOOM 2 that we gave you the first photos of a couple of weeks back. This is the follow-up to the original that will reportedly pack a 1.2GHz dual-core processor, 1GB of “faster” RAM, record 1080p HD video, and last for up to 11 hours on a single charge. The next device we are seeing is the MZ609 “Fleming” which we are guessing is the smaller 7″ XOOM 2 “Media Edition.” We haven’t seen this code name or model number yet, but with photos of a little brother appearing a few times now, we can’t imagine it would be anything else. So there you go – two new code names to start Googlin’.